“We’re very excited for Dr. Hayden,” says Roswell Encina, director of communications at the Enoch Pratt Free Library in Baltimore. Hayden is a former president of the American Library Association. During her presidency, she was chosen as one of Ms. magazine’s women of the year. 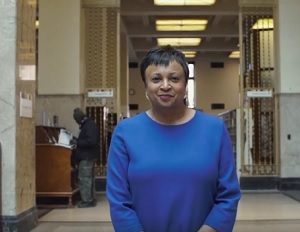 In January 2010, the president nominated her to the National Museum and Library Services Board; she was confirmed by the Senate six months later. As librarian, Dr. Hayden would reportedly oversee a staff of about 3,100, an annual budget of nearly $ 600 million, and a collection of 160 million items.